The Coverplug™ is a durable, molded, and paintable plastic panel that plugs right into an electrical socket to cover the entire outlet. I really like this innovative outlet cover, which is held securely in place by posts on the back that align with the ground openings and does not require tools for installation or removal. The specially designed plastic that is used can be easily paintable to match our wall color. The Coverplug™ is an excellent child proofing product that plugs into standard grounded double outlets found in Canada and the United States. 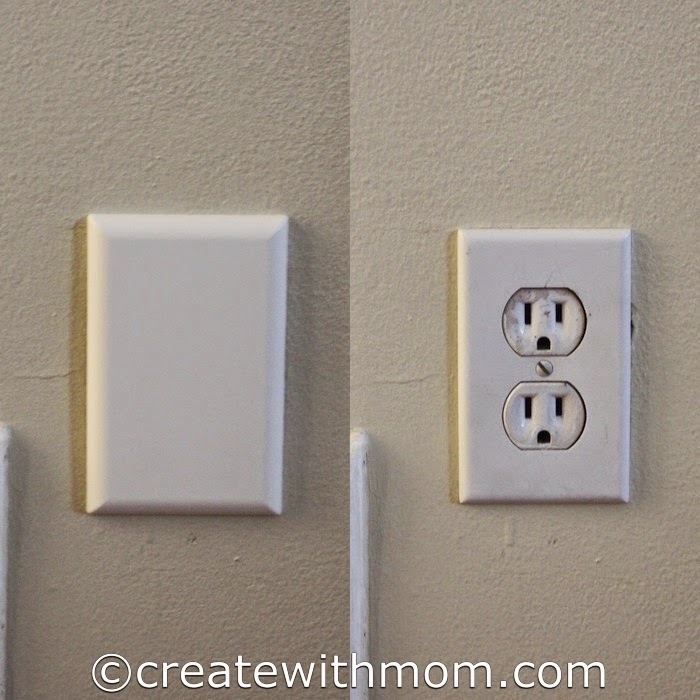 The Coverplug™ covers unsightly outlets and makes them virtually disappear making the space safer for little ones who find outlets interesting, it also makes the walls seamless. If you are in USA or Canada would like to win a package of Coverplug™ with 2 coverplugs before February 10 then enter the giveaway below through the rafflecopter. Please follow my social media networks and leave comments to be eligible to win. Hi,I am in Canadaand I think this coverplug will be useful for me. I'm in Canada and these would be useful to us as we have 2 grandbabies on the way and will need to cover out plugs! I am in Canada. The cover plug will be very useful to my cousin who has two little ones. I live in Canada. Yes I think the cover plug would be very useful in my home as well as in my sister who has a wee baby. I am in Canada and I could use this for my very curious little girl. I am in Canada and I would give the covers to one of my nieces who would benefit from them. I am in CAN, and would give this to my sister who had an infant. I live in Canada and I think it would be useful! I live in Canada and this would be very useful for me. I'm in Canada and my daughter could use this in her house! Canada here!!! This would be beyond useful with a toddler running about!